It’s been a great summer on the East Anglian waterways this year; narrowboaters have enjoyed sunny cruises, music festivals, cream teas, tiny villages, cathedrals and colleges, locks and moorings, pubs and restaurants, holidays and day trips. 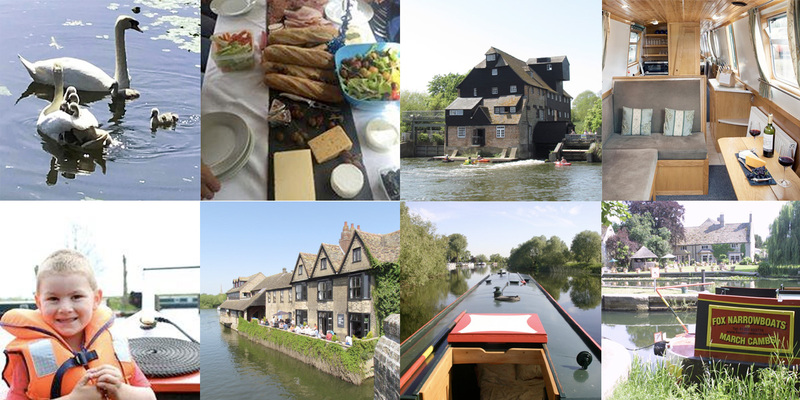 Here’s a roundup of what sort of things boaters have to up to during this year’s cruising season in Cambridgeshire. We had a busy week in April when 300 people interested in boating visited our marina for the Drifters hire boat open day. Later that week thousands of people enjoyed March’s St Georges Fayre, which is a big festival of live music, market stalls, a parade, and fun fair, with dance performances and dragons! Some boaters were able to book a holiday that coincided with these events. Warning: Time Running Out for Boaters Who Love Live Music Maybe next year you’ll be one of them? After kicking off the festival season this year with St George’s Fayre we had a summer full of fun in Cambridgeshire. Boaters who love live music were able to combine their narrowboat holiday with one of these free outdoor events. Our Top 3 Free Summer Festivals by Narrowboat. Some of our customers are Londoners, wanting to avoid spending hours in traffic before their holiday even begins. Our narrowboat hire base is just over an hour from London, but a world away from the city noise. Imagine travelling from Kings Cross through the English countryside to where your own cosy narrowboat awaits you. Here are five great reasons to take a narrowboat holiday near London. Back when Charlie and Pat Fox first set up Fox Narrowboats in the 1960’s, navigation on the Middle Level was very different from today. Mooring customer John Revell described some of the changes in the area that have been achieved through waterways restoration campaigns, and wrote about the Old Bedford Campaign Cruise that took place in August. Now that the summer is over, the poles and planks have been removed from our hire boats and we’ve started our winter maintenance jobs. If you’re curious to know how we ‘winterise’ a narrowboat check out our 3 basic steps to help you protect your narrowboat or canal boat from the cold. We’re pleased to say bookings are now coming in for the 2019 and 2020 seasons. Have a look at our boats and see if you’d like to join us for an adventure next summer.